At Big Blue Door we offer amazing classes in longform improv comedy, storytelling, and writing. For current classes see Upcoming or check out our Main Page! Longform Improvisational Comedy builds completely new, impromptu, unplanned scenes into an entire show, using nothing but a bare stage and maybe a few chairs. The comedy comes not from conditions imposed on the performers, but from the characters and relationships they create. It’s a style of improv that lets you draw on who you are, on what you know, on what you think is funny and interesting. It’s the comedy training of most of the performers on programs like The Office, Parks and Recreation, The Colbert Report and The Daily Show, as well as the comedy schools of Chicago, New York, and Los Angeles. There are three basic improv levels, Improv 1, Improv 2, and Improv 3. Each is fantastically fun on its own yet builds on the knowledge and practices of the previous level. Students who complete all three levels are eligible to perform with our group ensembles in runs of rehearsals and shows. For more on where longform came from click here. For more on the difference between longform and other improv click here. For more about why to take improv classes click here. Big Blue Door’s improv curriculum was developed from the Magnet Theater training system created by Armando Diaz, and additionally inspired by many of New York’s best teachers at Magnet, Upright Citizens Brigade, and elsewhere, including Louis Kornfeld, Mark Grenier, Megan Gray, Zach Woods, Russ Armstrong, and Shanon O’Neill. This introduction to longform improv will teach you how to build an original show of life-filled characters and spontaneous, hilarious scenes! 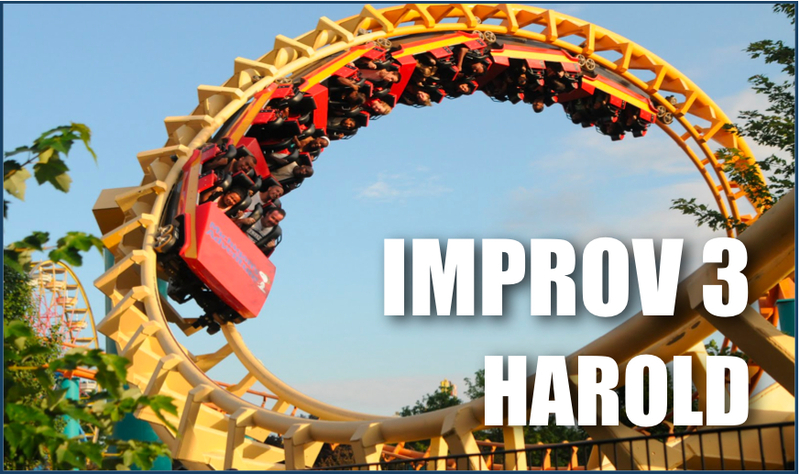 In eight weeks of exercises, games, and a final class performance you’ll learn how to play fearlessly with other smart people in focused abandon; how to draw inspiration from almost anything; and how to find what’s funny and compelling in real human emotions, quirks, and experiences. Whether you’re interested in longform improv, curious about how comedy works, or just looking to have fun this is one of the best classes you’ll ever take! Building on the skills from your Improv 1 class, Improv Cuts & Callbacks will teach you new techniques such as cuts, tags, callbacks and second beats. You’ll use these new skills in sync with other performers to explore characters in different times and places. You’ll also learn to expand the range of your characters using physicality, actions, and verbal confessions. Finally, you’ll learn to use the ‘Living Room Opening’ to generate richer and more playful ideas from audience suggestions. A fantastic course for actors, writers, and anyone who likes to have fun. Eight sessions plus a class show. 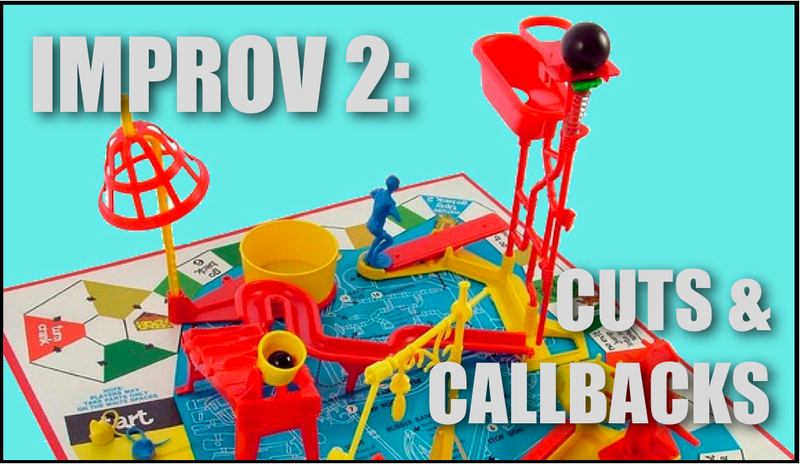 Prerequisite: Improv 1. This culmination of longform improv training draws on all the skills you’ve learned from previous levels and explodes them into a universe of fun! You’ll learn to create group scenes, group games, and group openings; you’ll explore third beats and connecting storylines; you’ll explore forms such as the Monoscene, and the Harold, the original and most popular longform structure; most of all, you’ll work with other performers as a tight, dynamic, versatile unit to question, investigate, or just make fun of anything from the silly to the sublime. Eight sessions plus a class show. 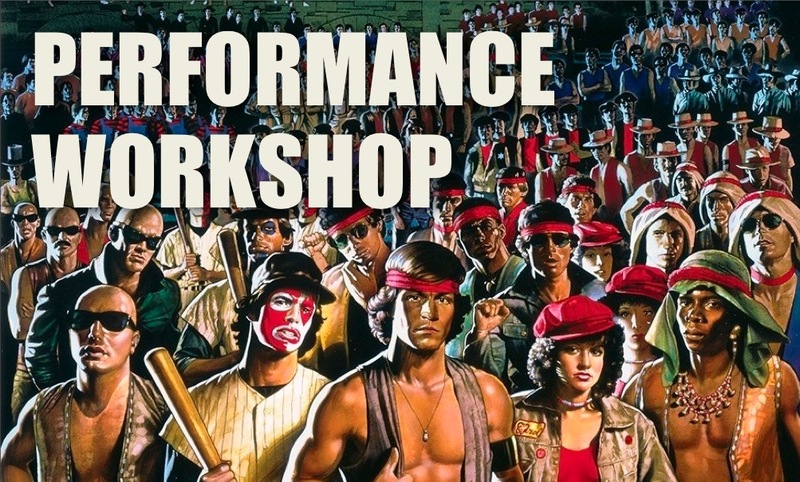 Students who have completed Improv 1, 2 & 3 are eligible to sign up for Performance Workshops. Each workshop focuses on a particular improv form or style. Big Blue Door organizes students into teams and books runs of shows in Charlottesville venues, plus a few road shows. 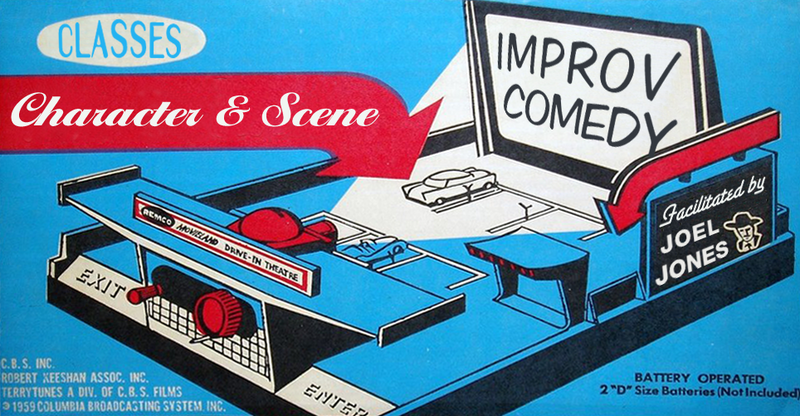 Performance Workshops take place throughout the year so improvisers can perform when their schedules permit. Also costs of Performance Workshops are much lower than costs of classes and the performers usually split the door, so they can actually make money doing great theater! Every year Big Blue Door will offer Performance Workshops in the Harold, Monoscene, Smallprov, and other formats or styles. Big Blue Door’s storytelling program explores the experiences of the more real person in the world, you. We start using the 6-8 minute oral format popularized by the Moth, and the New York storytelling scene. Big Blue Door is dedicated to creating fluid, confident, competent artists. You’ll learn to find and explore story material quickly, you’ll find a personal voice, and you be amazed by yourself and the people around you. Turn the personal experiences of your life into funny, moving, honest performances! Telling True Stories is a course of 6 sessions plus a class show designed to help you learn to find and tell your stories. The first four sessions use class discussions and exercises to develop material for about eight finished stories. Then over the last two sessions you’ll choose one story to revise, rehearse, and perform in front of a live audience at the class show. The course touches on effective memorization techniques, using a microphone, and dealing with privacy and confidentiality. Plus it’s a lot of fun. You might just find that learning to tell your story is one of the most rewarding things you ever do! Telling True Stories II builds on the skills and process from Telling True Stories I while adding more impromptu stories plus more written exercises. Students are invited to participate interactively with our improv troupes. Big Blue Door was founded by a playwright and we believe that truth, comedy, and writing skills brilliantly support one another. Whether you’re a writer wanting to explore a new medium or a fan of comedy wanting to know how sketch shows operate, this two-session workshop uses guided examples, quick-fire exercises, and a ‘writer’s room’ atmosphere to give you a sense of how comedy writing works! Scene Sketch Scenario is a 6-session writing course that combines Big Blue Door’s Sketch Writing Intensive with exercises, feedback, and assignments on short plays and comic scenes in longer scripts! When is the next Level 1 class being offered?